Competitive home chef Brittany Furbee shares her recipe for Venison Wellington. A dramatic Facebook post, a failed court injunction, and and a contentious 4-hour council meeting. 24 hours of debate on Haymaker. The West Virginia artist who defied the National Guard to deliver flood relief, won the respect of his community, and brought a world of creativity to Mannington. Canyon Gorge is a rutted, one-lane road that winds down a hillside to the bank of Cheat Lake. It’s short, but it feels like West Virginia. 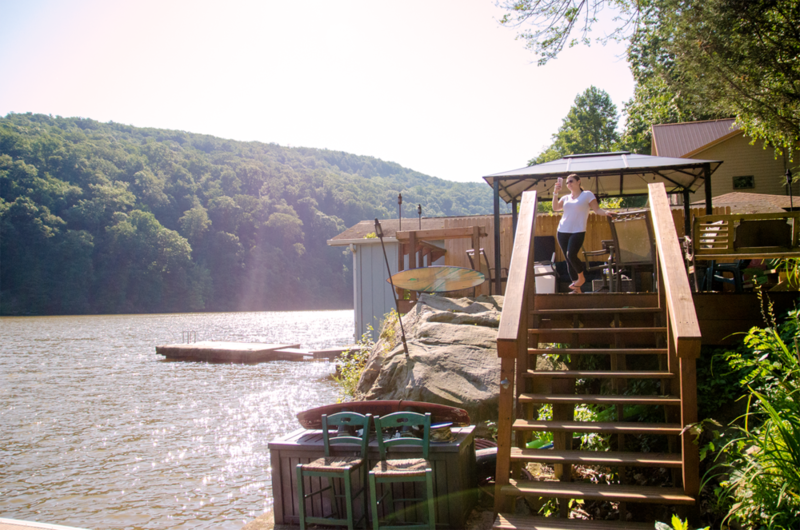 Just to the left, overlooking the water, you’ll find the beautiful home of Joelle Cameron. 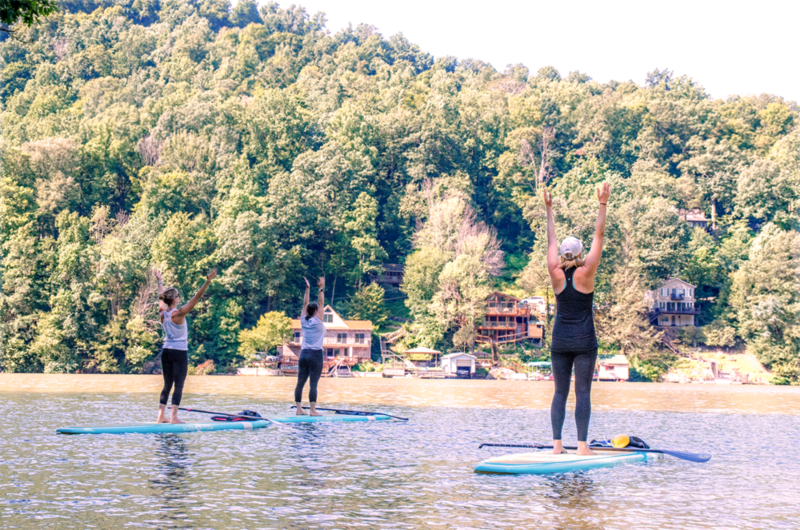 On Saturdays and Sundays, Joelle teaches stand up paddleboard (SUP) yoga out on the water. The positions and movements are largely the same, but as the name implies, they are performed on a 10’ floating platform. She started practicing three years ago here in Morgantown at Suncrest Yoga. Eventually, she took an instructor class, and everything took shape from there. On this particular morning, Joelle has two students, Kaitlynn and Jamie. Kaitlynn drove all the way from Pittsburgh. “It wasn’t too bad, only an hour. This is way prettier than Pittsburgh,” she laughs. Everyone seems to agree that the surroundings are a big part of what makes the class experience so unique. “It’s so peaceful on a Sunday to come out here and be on the water,” Jamie tells me. 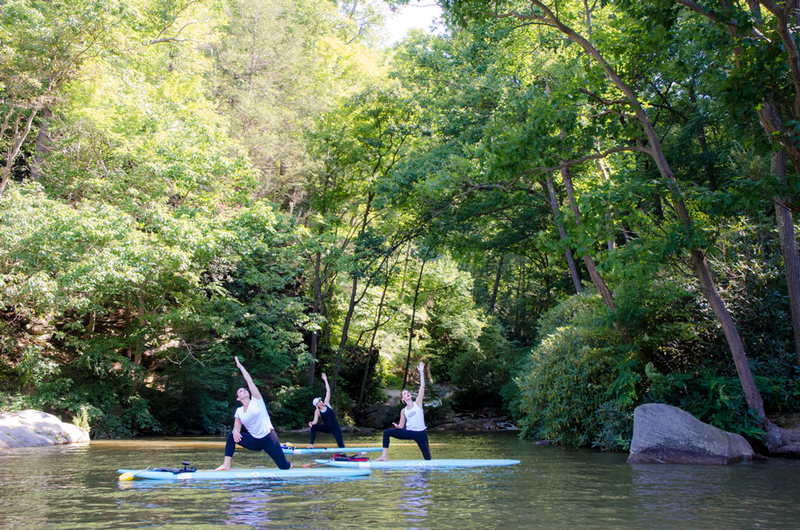 What sets SUP yoga apart, aside from the scenery, is the fact that the support itself moves beneath you. 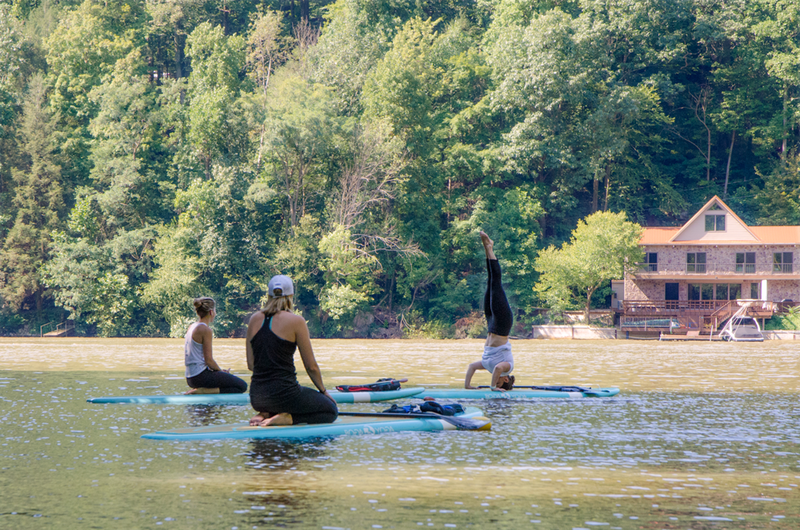 The idea can be intimidating for people new to the practice, but Joelle says the board serves as a feedback mechanism for learning how to get better at yoga. As the body counters and balances those shifts in weight, it uses fine muscle control that is rarely employed anywhere else. Which means that it’s a great way to strengthen untapped muscle groups. 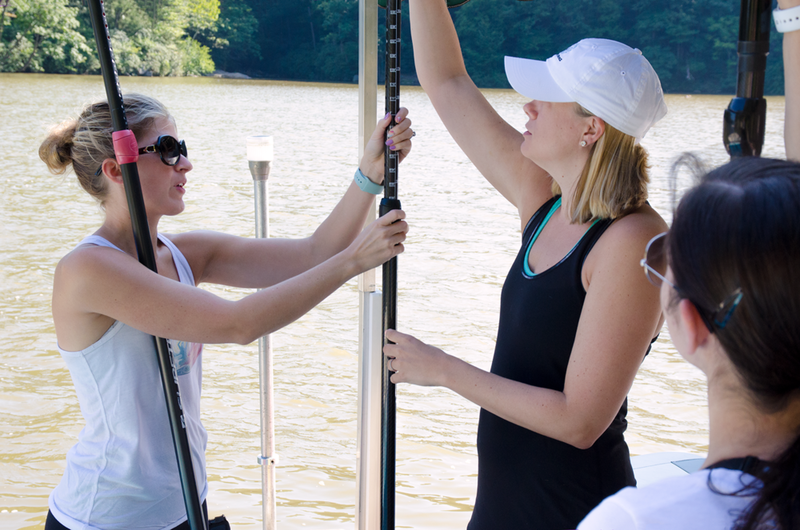 After some basic instruction, the girls paddle a short distance across the lake. They anchor in a shaded cove and begin the class. The small waterfall Joelle mentioned emanates a gentle white noise, occasionally cut by the sound of a boat in the distance. Before the day is over both students will have tumbled into the water once. Each time they laugh it off and continue. 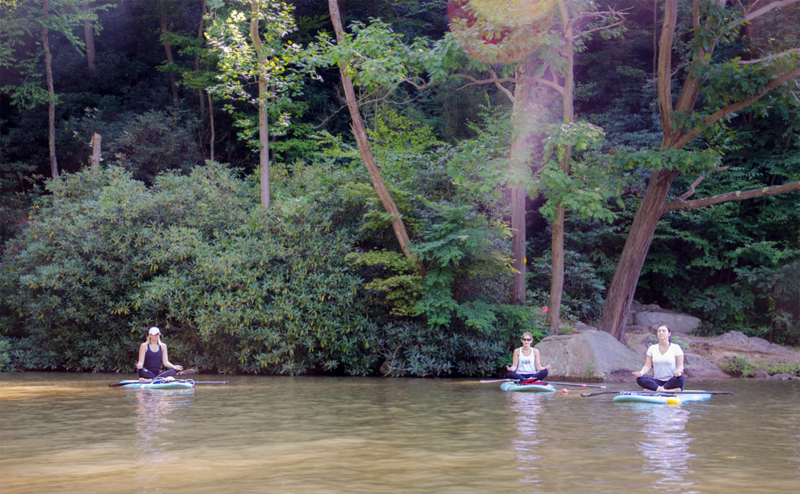 It would be disingenuous to say that paddleboard yoga looks easy. But perhaps there’s something to be said for a particular discipline when failure means swimming in the lake on a summer morning. Some of us were going to do that anyway. While on a recent trip through the state on assignment, I pulled over to take these photos of the rolling hills of central West Virginia. Beautiful. Live Session: Podcast Theme for "Mared & Karen"
Lots of people asking me when the podcast drops. All 6 episodes of "Mared & Karen: The WVU Coed Murders" will be released in June. Until then, here are the talented Jon Smither, Nicholas Larson and Annie Strou recording the show's theme song with Nathan Snyder at the helm. Enjoy!